Durable Foam brushes are easy to clean. Available in distinct patterns kids are sure to love. Easy-to-grip handles have built-in storage loops for hanging. Foam paint rollers measure approximately 6". Each set includes 4 foam paint rollers in wide stripe, checkerboard, hearts and stars designs. 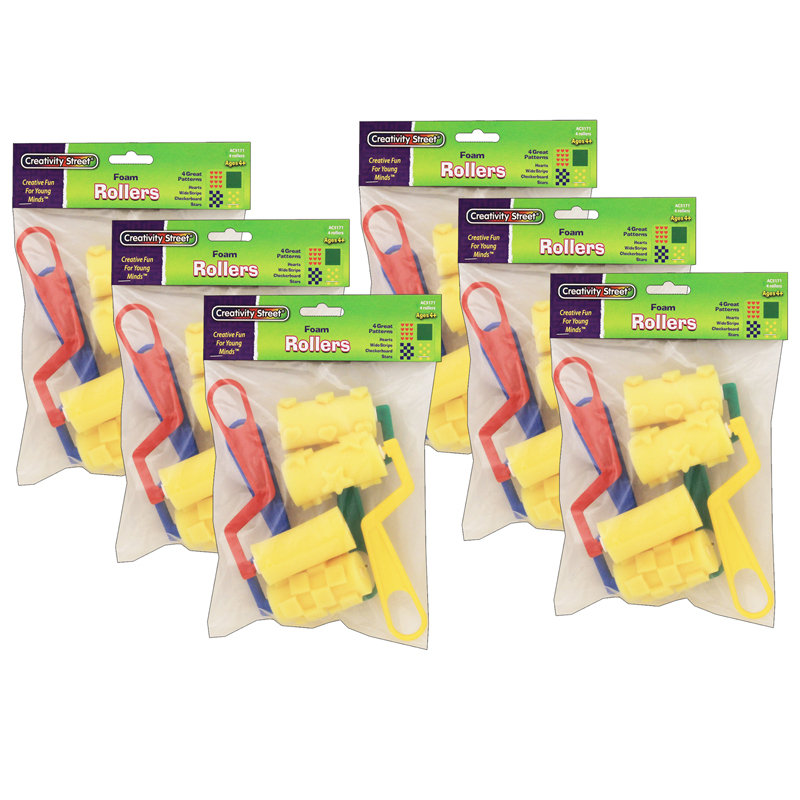 Bundle includes 6 sets for a total of 24 paint rollers. The (6 St) Foam Brush Set Stripecheckerboard Flowers Hearts can be found in our Paint Brushes product category within the Arts & Crafts. 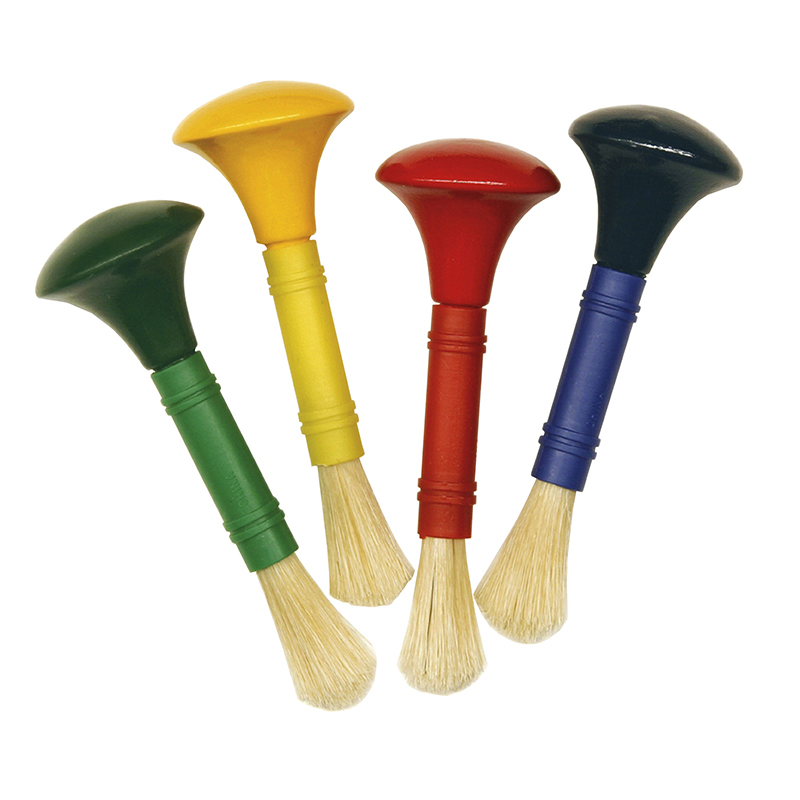 Each set includes four assorted color beginner brushes with easy-to-handle door knob shaped handles and plastic ferrules. 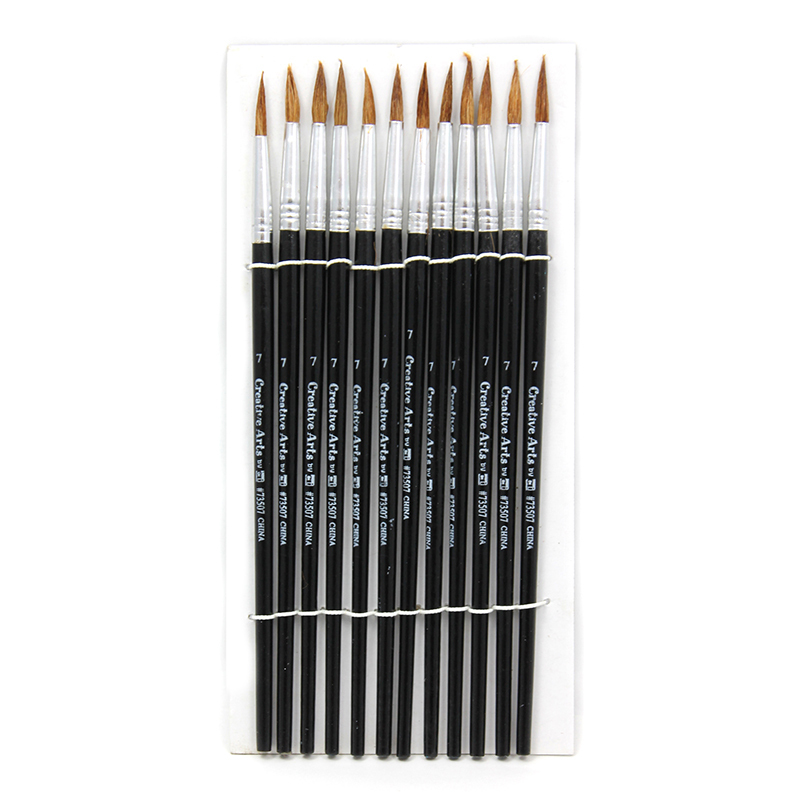 Bundle includes 6 sets for a total of 24 brushes.